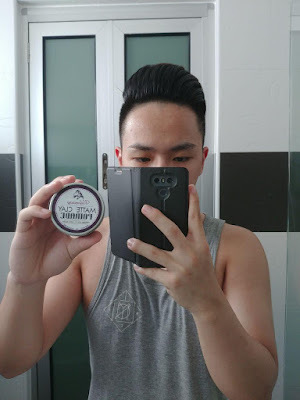 Hello everyone, welcome to my first ever product review. 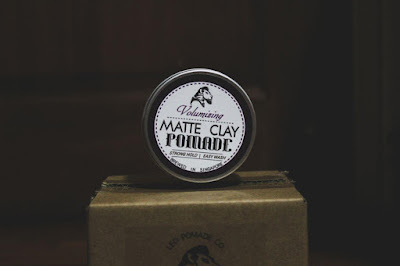 The product that we will be taking a look at is the Volumizing Matte Clay Pomade by Leo Pomade Co.
Volumizing Matte Clay Pomade by Leo Pomade Co. 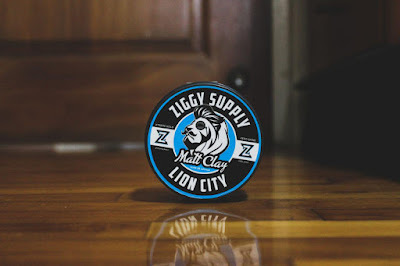 Prior to this review, I have heard of them before and my impression of the company was that their products were premium and high quality due to the price and their classy packaging. 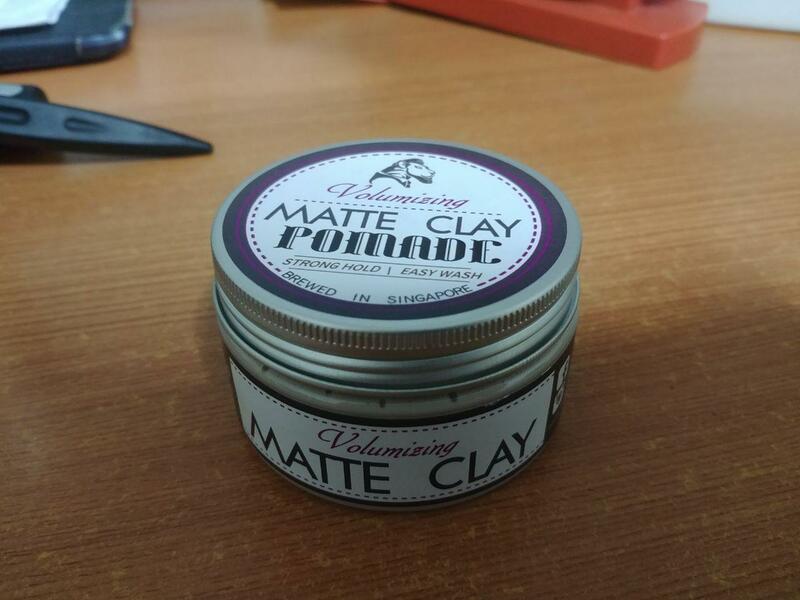 Prior to them developing their clay pomade, they released an oil based pomade and an unorthodox water based pomade. Their overall presentation gave a premium feel to their products and that really set my expectations pretty high for their matte clay. So without further ado, we're going to take a look at the packaging, scent, consistency, application, styling, texture and endurance. 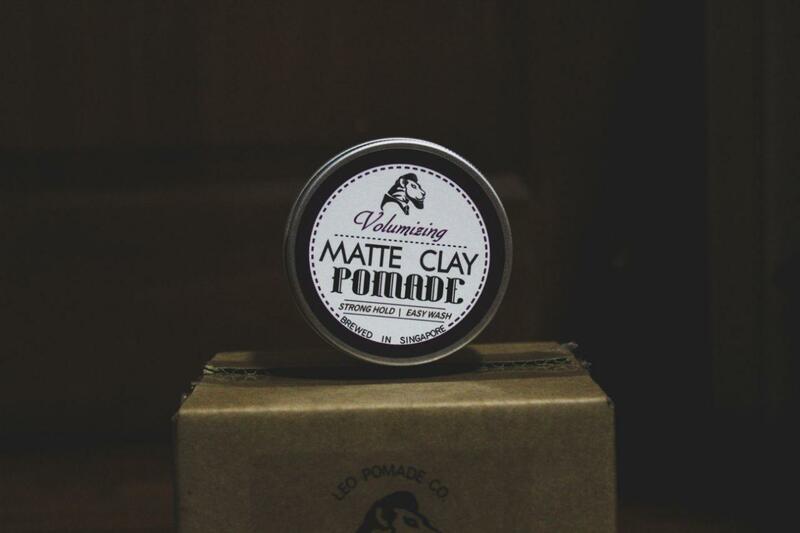 The Volumizing Matte Clay Pomade by Leo Pomade Co. comes in a 100g plastic jar, with their very well designed logo of a suited lion and product name on the face of the lid. The decals on the side include the ingredients, directions and their website (https://www.leopomades.com). A very decent looking jar which sits well with other products. Mine came in a box too with bubble wrap, so that's definitely a good thing. An interesting fact about this product is that it's advertised as a pre-styling product, which I will get into in the application section. 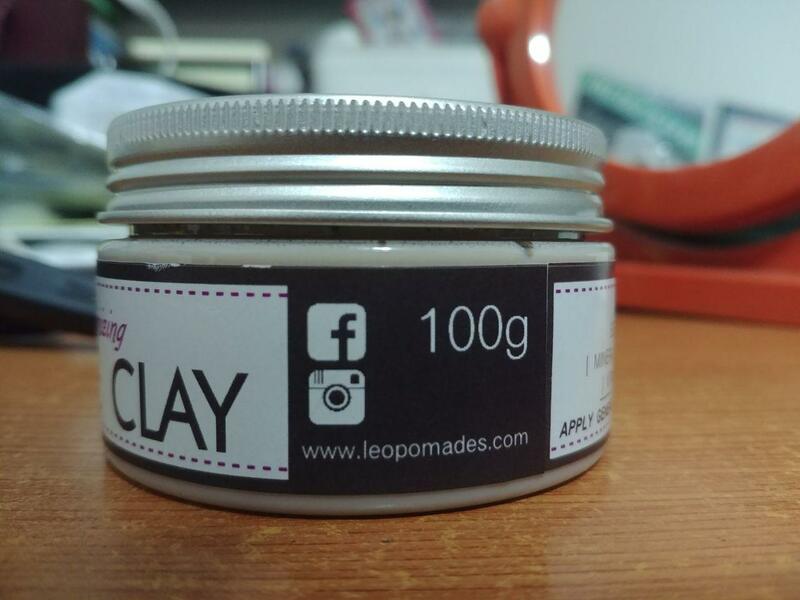 The Volumizing Matte Clay Pomade comes in a 100g plastic jar. Ingredients and directions. 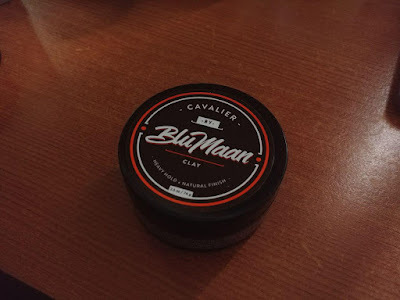 Interestingly, it's advertised as a pre-styling product, which is something that we don't regularly see with clay products. 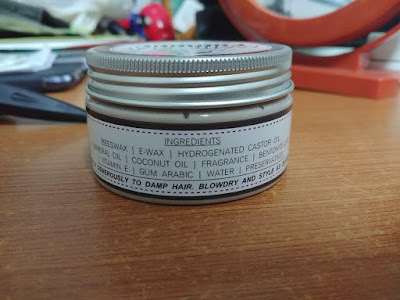 Ingredients: Beeswax, e-wax, hydrogenated castor oil, mineral oil, coconut oil, fragrance, bentonite clay, vitamin e, gum arabic, water, preservatives. Their website and the social media platforms that they are available on, which I will link towards the end of this review. Disclaimer: I am bad at describing scents. The scent on this product is simply amazing. Described as a peppermint berry scent by the brewer, what I get is a scent that reminds me of Nerds candy for some odd reason, accompanied with an underlying smell that I can't really identify (it's probably intended to be peppermint lol). However, the scent does last for a fair portion of the day and you will smell it every now and then. It really doesn't bother me that much because I simply love the smell and I do believe that it's something that you should experience. For a wax-based product, the consistency of the product is fairly creamy. Breaking it down is not an issue at all with no grittiness whatsoever. However, I did feel a very slight bit of greasiness but it's nothing alarming. EDIT: Although beeswax is at the top of the ingredients list, it is a WATER BASED product. Creamy substance. I like it. Application was very easy for me. Like I mentioned earlier, this product is advertised as a pre-styler and that is the approach that I took with this product. I have not tried this product in dry hair so I can't say much about that, but as a pre-styler with a fingertip's worth of product, it was really decent and I was able to achieve very good volume with a blowdryer. You will feel a very slight stickiness in the hair after blowdrying but it doesn't bother me at all and it shouldn't bother you. Much like the application, styling with this product was easy too. After blowdrying, I used another fingertip's worth of product and styled my regular hairstyle. 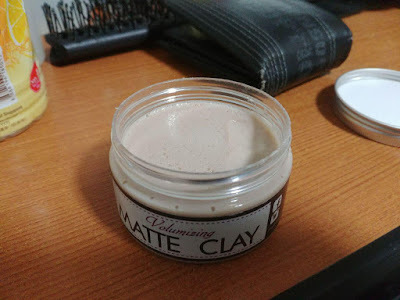 The finish of this product was a neutral-matte for me, which I definitely do not mind. Very good texture without it completely deconstructing and having individual strands fall over. Just take a look at the photos. I apologise for not having better photos, I will get better at reviews as I get into the groove of reviewing products. End of the day with the product in my hair. As seen in the photo above, endurance was very good. It was blazing hot today with 34 degree celcius weather scorching the country and everyone in it. 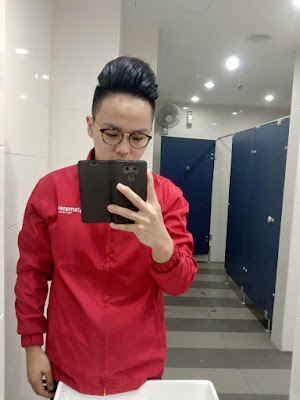 I'm a guy that sweats VERY excessively (I feel as though it may be a disorder because everyone notices how much I sweat and are weirdly intrigued). With that said, a lot of the product was still available to be used and restyling was hardly an issue for me. With water, you will get a very soft build up which may work to your advantage, but it all comes out with one shampoo. 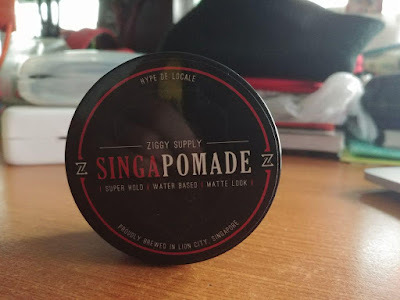 Their products cost SGD35 on their website and I assume that it will be no different for their clay pomade. I'm not too sure about shipping costs, but that price alone is fairly steep, not gonna lie. But in my opinion, it's still worth the money if you have the budget. You may want to buy it as a group order to cut shipping costs. All my expectations that I had of the product were met. Amazing hold and endurance, amazing scent and great texture and volume. After testing this product, I would say that it is a very good product. Is it a game changer? 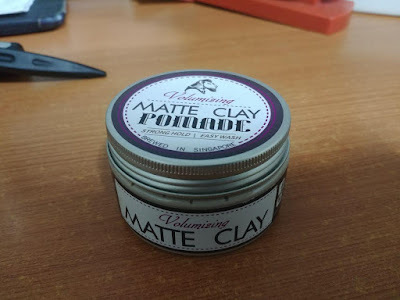 Not exactly but nevertheless, it's still a very good product to consider and I highly recommend you check out the Volumizing Matte Clay Pomade by Leo Pomade Co. As of now, it will officially launch on the 3rd of February 2018 and they will be having a road show at Suntec City International Convention Centre from 3rd to 4th February 2018. More information is available on their social media pages. That is all from me and I hope you have gotten something out of this review. 4.2 out of 5. Very good product. It does what it promises and I hardly have any complaints. Only slight issue that I found was that the stickiness may feel a bit uncomfortable for some people, but it's minor and the pros heavily outweigh the cons.